Kaizen is a lean-production process where Collins employees proactively work together to achieve regular, incremental improvements to the manufacturing process. 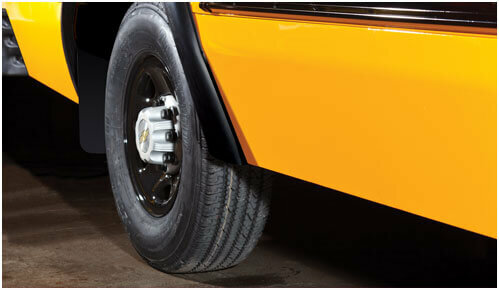 Here, goals are set and results are measured to ensure Collins remains the leader among bus manufacturers in unrelenting quality. Come visit our factory. One tour, and you’ll see the difference instantly. "Public Notice: Collins Bus Corporation is required to establish a Disadvantaged Business Enterprise program in accordance with 49 CFR 26. We have concluded the FY 18 goal setting process. This proposed goal and methodology are available for inspection for 30 days and for comment for 45 days following the date of this notice. The goal setting process produced a proposed FY 18 Goal of .48 percent. Any comments or concerns regarding this goal can be directed to jeff.eriksen@collinsbus.com"
With an infinite number of bus floorplans, Collins can be configured for any bus market. 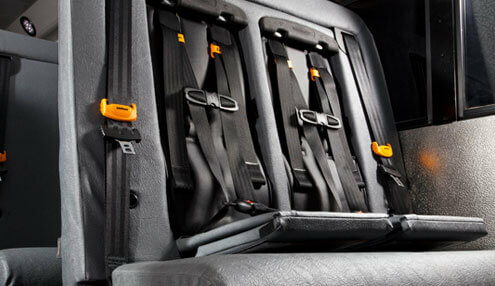 Thanks to consistent seat back thickness, your Collins seating platform is changeable and upgradeable. Single or bench seat? Child restraint or 3-point harness? Or perhaps you have an exclusive seat design in mind. Collins brings flexibility to the next level. Collins is proud to deliver alternative fuel options to keep our world green and our buses efficient. 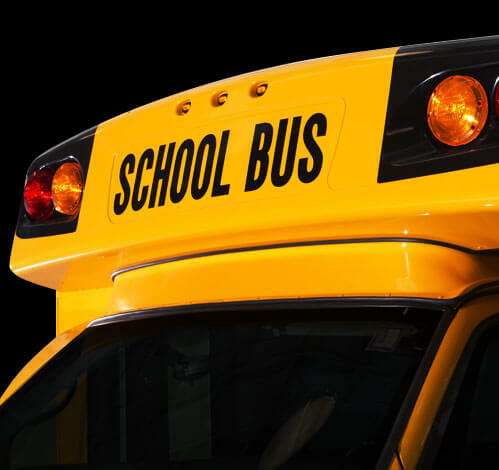 We offer propane buses that reduce hydrocarbons by 70%, carbon monoxide by 50% and NO(2) and CO(2) by 20%, and a Compressed Natural Gas (CNG) system that provides a renewable fuel solution less expensive than gas. In short, go yellow to save green. 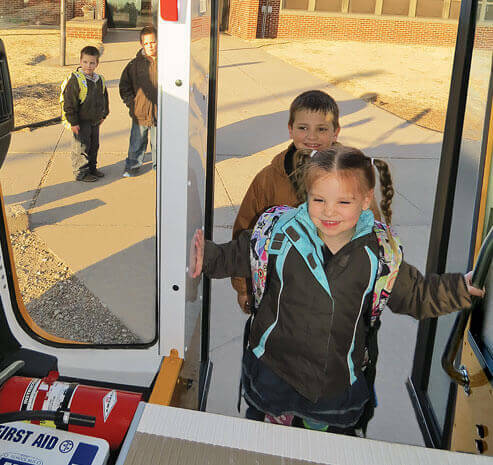 After 50 years of quality innovation in the school bus industry, Collins reminds passengers of all abilities that there’s always room for more. 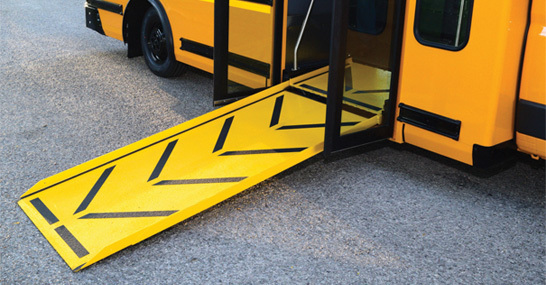 With the all-new Collins Low-Floor school bus designs, wheelchair accessibility has been taken to new heights. More than just innovation in structure and safety, this is innovation that’s accessible. Not only is Collins one of the most trusted names in bus manufacturing, we’re also backed by REV Group, a $2+ billion world leader in vehicle manufacturing that shares our commitment to connect and protect customers with our vehicles. Few bus companies have that kind of support. As part of REV, Collins customers have access to REV Financial Services™ and to an exclusive REV / Ryder Maintenance Program. 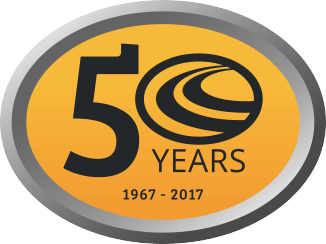 With this kind of backing and our commitment to engineering and innovation, rest assured Collins will remain the bus brand you can trust for another 50 years.